This article goes in-depth about the many advantages of using Hatch embroidery software. It’ll begin by sharing some Hatch user testimonials, comments & reviews. Next I’ll provide you with my personal opinion on Hatch. 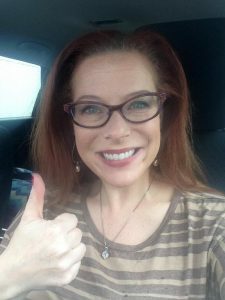 Having won over 30 awards for digitizing & working with dozens of embroidery software programs over the years (including my own: Perla), I’ll break down what I feel truly makes Hatch stand out & why. 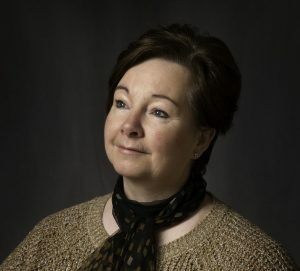 “I knew for several years that I wanted to purchase digitizing software. I looked at all the competitor brands of software, and ended up buying Hatch Embroidery Digitizer. I have never regretted it. This software does everything I imagined and lots more. I can digitize all the artwork I have in my head exactly as I want it. Even if you’re not artistic, you can create designs using the multitude of tools within Hatch. So, the software is great, but the support really makes a difference. Hatch support through Digitizing Made Easy folks are super friendly and helpful, there are lots of training videos as well as live training seminars available, and the Wilcom Hatch Facts page in Facebook connects you with experts and other users who have experienced different scenarios who can walk you through their learning experiences. I highly recommend the Hatch software for anyone who wants to unleash their creativity, or even those who want to tweak purchased designs. “I learned about Hatch almost a year ago. I had been working with two other software programs. I wanted to digitize photographs and use different fonts. I basically had given up. The programs were too hard…didn’t do what I wanted…and the learning curve was greater than the time I had to invest in it. (I’m a full time teacher). When I heard about Hatch, my first thought was yeah, yeah, just another software…my Mom however thought differently and purchased it. I told her I would help her load it on her computer. Well…..after helping her and then watching some lessons, I soon discovered it was completely different that what I had been using. Needless to say, that computer was “left” at my house and I’ve never looked back. Hatch is so easy to use. Then add on top all the support from other users and the video lessons the possibilities of creativity are endless. The ESA fonts and elements that work with Hatch are also game changing! You basically just type in what you want and BAM lettering that is virtually perfect, automatically. Plus, you can manipulate the fonts in a lot of different ways which I really love. One of the other features about Hatch I love is the auto fabric and design info. It will tell you what stabilizer to use, how much and if you change the fabric it changes the stitching to accommodate. AWESOME! Now, I am able to personalize a co-worker’s stocking for her son’s first Christmas in only about 15 min! A year ago, I never would have been able to do that. 1) What are your overall thoughts regarding Hatch? 2) How does Hatch compare to other software programs you’ve tried? 3) Where were you before you started using Hatch & where are you now? 4) How has Hatch helped advance your embroidery? 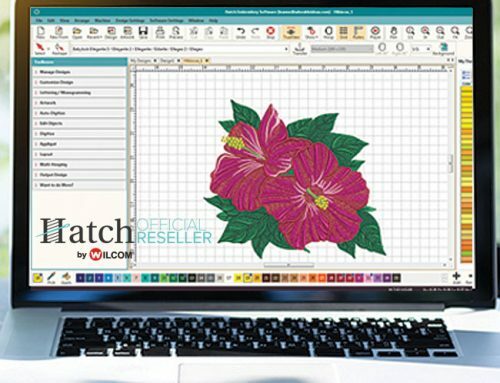 Two years ago Hatch was introduced to the Home Embroidery market as an unknown software program, now just two short years later it has already developed a reputation as the being the best software in the industry. Now, you must be wondering… how is that possible in such a short period of time? Before I answer that question, let me take you back in time. Besides having been trained as a puncher/digitizer at the age of 17, I also ran one of the two factories my family owned between the ages of 23-33. The factory I ran was our multi-head division which consisted of 136 multi-heads, to give you an idea of how much embroidery we did in those days I remember orders coming in for cap panels with 750,000 units all from the same company! Garment orders would usually average in the thousands of pieces all with the same logos. Those were the days, contract embroidery in North America was booming and our machines ran 6 days a week, 24 hours a day. After witnessing the contract embroidery industry change in volume due to off-shore competition we evolved to digitizing and then finally began transitioning into the home embroidery market 17 years ago. I’ve got to be honest, it wasn’t an easy transition. The terminology was different, the machines were different, the software was different and to be honest the thing I noticed most was that the quality of embroidery was VERY different! What I mean by that is that in the commercial world we stayed in business for decades because the visual quality of our designs was pleasing but more importantly the quick runtime and softness of our work was close to perfect. It’s quite simple if you want to make money with embroidery, the designs you feed into the machine need to be “production friendly”, with as few jumps and trims as possible. The designs should also feel like part of the garment when taken out of the hoop, not like it was stuck in place with a glue gun! I’ve seen that a large majority of the designs being produced and sold in the home industry are many times bulletproof and have way too many unnecessary jumps and trims. This now leads into answering the initial question, “why is Hatch the best software in the home industry?”. The answer can be given using one-word “Wilcom”! If you’re not familiar with Wilcom, they have undisputedly been the world leader for developing intuitive and intelligent embroidery software for over 30 years. 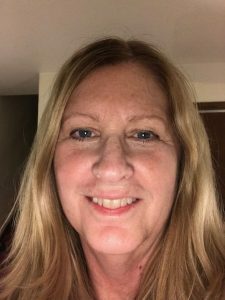 I’ve been using Wilcom pretty much since the beginning of my “computerized” transition into the industry almost 30 years ago, and have been involved with Wilcom since the early DOS days. To this day Wilcom’s commercial platform dominates 90% of the embroidery world GLOBALLY! Why does 90% of the commercial embroiders globally use Wilcom? The answer is their proprietary format called “EMB”. Now here’s where I’m going to let you in on a ‘secret’ that until now ‘home embroiderers’ were not aware of. When I ran my factory which had 136 multi-heads I would digitize my designs using my own ‘Custom Recipes’ which ran best on pique knit fabric. I would then send that EMB file down to production and the machine supervisor was who would send out the designs to the machines for production. The person who sends the design to the machine would first find out what material/garment was running and before sending the file they would change the “Fabric Assist” within the EMB files so it would have the best results. 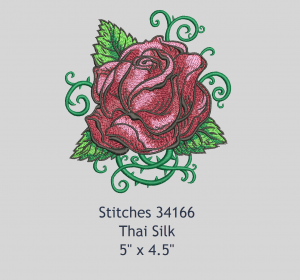 Here is an example of what I mean: the first EMB file was changed to a “Thai Silk” setting using less density, underlay and pull compensation and has a total of 34,166 stitches. The second is the exact same design, with the click of a button I changed the fabric assist to “Stretchy Terry Cloth” setting, this will provide more density, more underlay with longer stitch lengths and more pull compensation to counteract the knap of the terry cloth, for a total of 43,298 stitches. That is the exact same design with an incredible difference of 9132 stitches. The reality is, a digitized design’s properties cannot and should not be applied for all the different applications and fabric types! It simply doesn’t make sense and its not the way I ran my factory over two decades ago. When I came into the home industry that was one of the things that had shocked me most. People were providing one embroidery file and expecting it to run well on every fabric type! You cannot have the same density, stitch lengths, underlay types, pull compensations for Terry Cloth as you would Silk, Leather, Lycra or knits. In the commercial world when we did production the recipes would change based on the fabric type… it makes logical sense! Coming into the home market I quickly realized that the EMB format was not available, so I used a custom recipe I felt would work best on most fabrics. I feel a lot of home embroiderers had felt that the commercial industry always had something over them. That the quality in the commercial industry was, for the most part, better. Most assumed that it was due to the difference between the home and commercial machines? In reality, that’s not the case, home machines, in theory, create the exact same stitch as a commercial machine does. So if it’s not the machine, it’s the software and it all comes down to the EMB file! 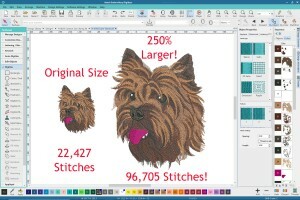 It is unrealistic and unfair to expect a home embroiderer to know all the variables and properties a design should have for every possible fabric type you’d conceivably embroider… that would take years of experience as a digitizer and in production. Being honest with you, 90% of the “professional digitizers” don’t know those specifics either. They didn’t need to, they owned Wilcom’s commercial platform which would allow them to change the fabric types within the master EMB file. So why didn’t the home industry know about this sooner? Well because until Hatch was released the only way to manipulate an EMB file as to own Wilcom’s commercial platform which is very cost prohibitive in comparison. There have been a few times in my life where I can truly say I’ve had a “Gift from God” moment. One of those instances was when Wilcom approached me and asked if I’d be interested in becoming one of Hatch’s selected resellers globally. I say it was a “Gift” because it was something I didn’t ask for, but it was an answer to one of my long awaited prayers. Coming from the commercial industry to home I saw that there was a separation between the two industries, and even though I knew that 99% of embroiders didn’t have the Wilcom platform, I have always included my native EMB file with all of our downloads. 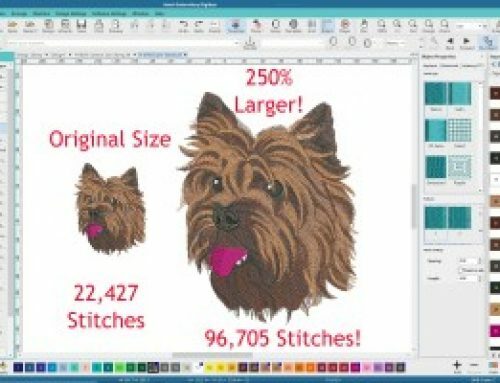 Resizing, changing fabrics and modifying EMB files in Wilcom is an embroiderers fantasy come true. If you’ve been to any of my classes, workshops or retreats you’ll quickly see how passionate I am about Hatch, the truth is, I am! When a person purchases Hatch I honestly feel like I’ve helped them, given them the tools they need and deserve to get better results and have more fun! From my decades of experience, I can honestly say that no software in the home industry even comes close! It is intuitive and intelligent, the software almost drives itself and with the automatic stitch generation and filters, it helps to ensure that the designs created within the software are production friendly. Please keep in mind I’ve learned over 20 digitizing programs and assessed others, our Digitizing Made Easy site supports eleven programs with interactive education. 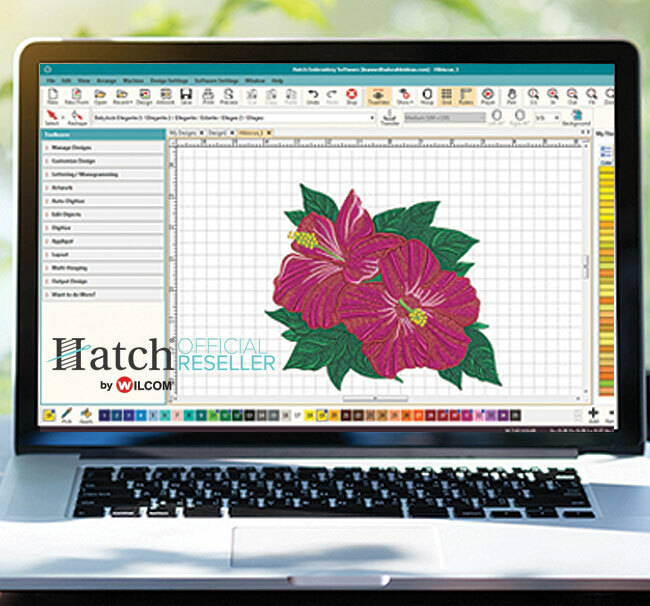 Hatch is not only the best but is sitting right in the sweet spot when it comes to an embroidery software price point, this can be broken into three categories. There are a handful of programs which I would consider upper-end programs, most of them are fairly well built and usually sold and supported within dealers stores. Because of all the distribution channels that the program goes through, by the time it gets to the consumer, it is usually much more expensive than Hatch and not close when it comes to quality. There are some programs which are within the same price range and are also modular like Hatch. There is one program out there that is popular with home embroiderers today and I will admit that they had a brilliant idea of being the first to come out with a modular formula (meaning you can buy it in pieces based off your needs). This made it affordable at an entry level, but by the time you add on all the modules, you’ve paid more than Hatch and have a program that, in my opinion, doesn’t come close to Wilcom’s platform. Then there are the “low budget” programs I’ve seen and played with, all I can say is that you pretty much get what you pay for! Conclusion: Hatch, the Embroidery Software for Everyone! I’ve become very passionate about spreading the word that Hatch is every “Home Embroiderers Dream” in the same way that Wilcom platform is the global standard commercially. 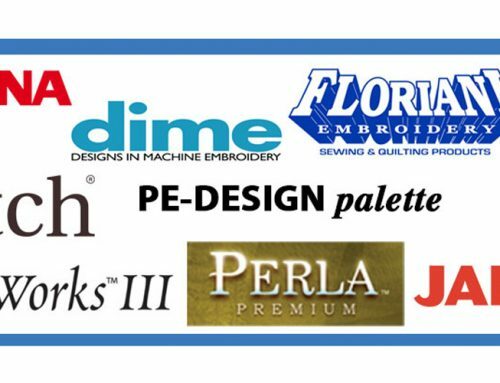 For decades there has been a division between the home and commercial industries, a solution that home embroiderers didn’t even know existed that was separated primarily due to a cost factor. Now that the curtain has been pulled down. I feel like yelling from the rooftops, “look what you’ve been missing”, and here is the solution just for the taking. Now keep in mind I only shared what I would consider the “Main Feature” that sets Wilcom Hatch apart! This list goes on and on… I’ll save those for future blogs. Now on the flip side of the coin, any software program is only as good as the education that is available for it. That is where we at Digitizing Made Easy have truly excelled. Even though I had the opportunity to learn the old school ways as a very young man, I have always evolved my techniques based on the most current technology at hand. With the right tools and the right teacher, you will find that what many have told you to too difficult to learn is actually easy if executed within the right curriculum. Check out our interactive education here. If you don’t believe me or the testimonials above, I challenge you to try it for yourself and see! Download the free full featured 30 day trial of Hatch from Digitizing Made Easy and we will send you bonus interactive education to get you playing and stitching successfully right away. If you’re looking into purchasing Hatch, be sure to do it through us to receive the amazing exclusive bonuses we provide. The opportunity is here, why not try the best? If you have a review of Hatch please comment it below 🙂 We’d love to hear your opinions!